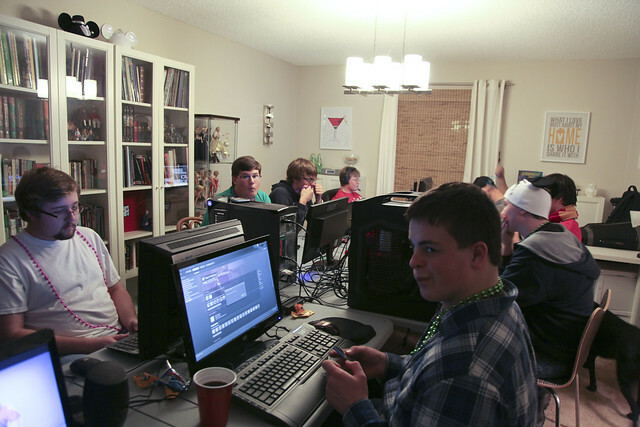 Joshua and his brothers used to have LAN parties all the time in high school, so we’ve continued the tradition by hosting them at our house. My sister and I are friends with a ton of geeky guys, so it’s usually a great way to have all of our friends under one roof. For those of us who don’t game, we hang out, make yummy food and enjoy each others company. 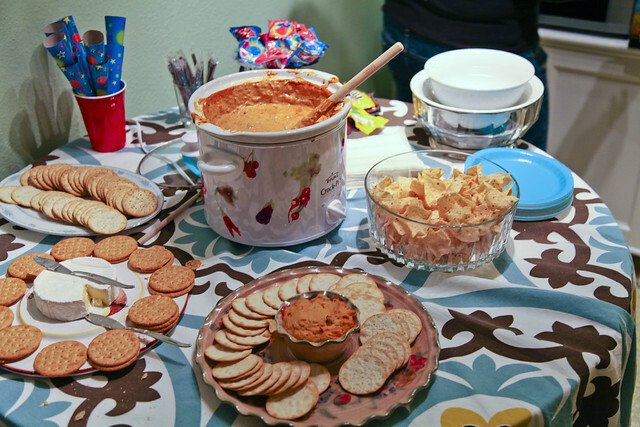 Our yummy food included crackers, brie, hummus, tortilla chips, and Matthew Morrison’s turkey chili cream cheese dip, which is what you see in the crockpot and is now a LAN Party staple (1 can of turkey chili per 1 brick of cream cheese). My sister and friends took over my kitchen to make chocolate-dipped strawberries in addition to all the other candy and cookies they provided. 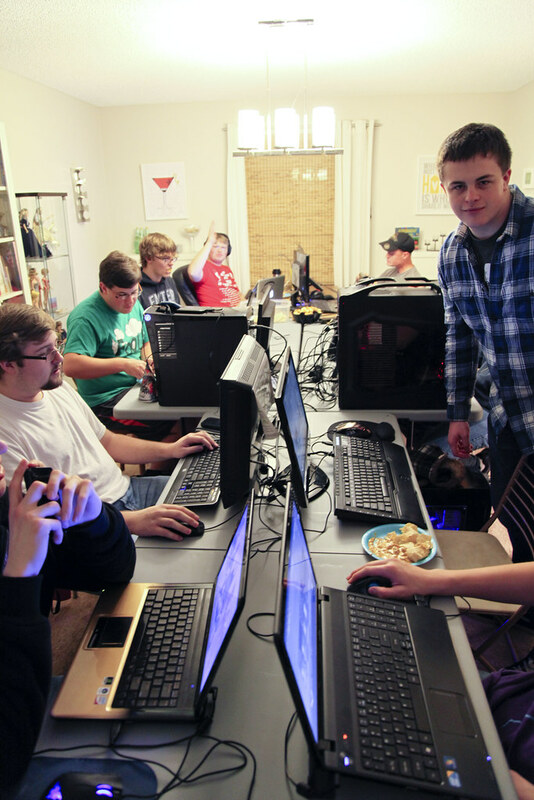 We also had plenty of soda, including Mountain Dew which is another LAN Party staple. Yes, it was junk food heaven! We had such a great time, and I was so happy to ring in the New Year with my friends and family. And now onto my household New Year’s resolutions! Create an “In Case of Emergency” file. I’ve had articles from Lifehacker and Unclutterer bookmarked for too long. Considering what my parents have had to go through with getting things in order with their moms passing away, I should be preparing. It’s never too early. Revisit and stick to a new budget. Organize the hall closet and hopefully turn it into a pantry of some sort. Print and frame the holiday prints I meant to put up in 2011, but didn’t due to lack of time. Decorate for the holidays more. Buy a house! I graduate from college in June, so we’re hoping once school is done we can finally have our own place.